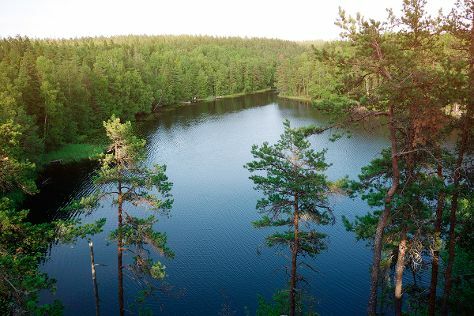 Get outdoors at Nuuksio National Park and Bellevue Beach. For shopping fun, head to Turun Kauppahalli or Galleria Joella. Explore the numerous day-trip ideas around Turku: Aurlahti Beach (in Lohja), Teijo national park (in Pernio) and Old Rauma (in Rauma). There's much more to do: step into the grandiose world of Turku Castle, examine the collection at Luostarinmaki Handicrafts Museum, kick back and relax at Vepsa Island, and browse the collection at Turku City Library. For traveler tips, maps, more things to do, and more tourist information, use the Turku trip maker . If you are flying in from Algeria, the closest major airport is Turku Airport. In July, daytime highs in Turku are 24°C, while nighttime lows are 13°C. Finish your sightseeing early on the 9th (Tue) so you can travel back home.